We all know that kefir is one of the most useful sour-milk by-products. It is used as preventive and medical treatment. Kefir has a sedative action on blood and nervous system of our organism. It is vitamin- and mineral-rich, kefir helps intestines work properly, makes our organism healthier, rejuvenates a skin, improves a condition of hair and nails. Besides, the diets based on the use of kefir, allow to get rid of superfluous kilos easily. For this diet you should prepare and eat all dishes without salt and sugar. As this diet is rather hard to stick to, it is recommended to repeat it not often than once in two-three months. How much you will manage to grow thin, depends on features of your organism. An average weight loss - about 5-7 kilos. The first day – 1,5 litre of kefir and 5 boiled potatoes. The second day – 1,5 litre of kefir and 100 gг boiled chicken meat (better white one). The third day – 1,5 litre of kefir and 100 gг boiled low-fat meat (preferable beef or veal). The fourth day - 1,5 litre of kefir and 100 gг boiled low-fat fish. The fifth day – 1,5 litre of kefir, fruit and vegetables (except bananas and grapes). The sixth day – 1,5 - 2 litre of kefir. The seventh day - mineral water in unlimited quantity (better still water). 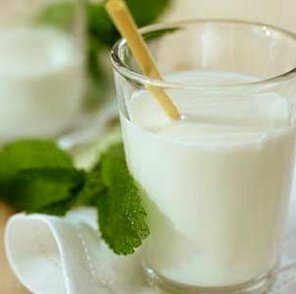 You should drink the day norm of kefir by 1 glass every 3-4 hours. Besides, within a day you may change kefir. For example, first, you drink low-fat kefir, then a fruit one, and then bifido kefir. You may drink water, it is better to drink still mineral water. And NO coffee or tea!! !